The NSW Police have raided five boats owned by All Occasions Cruises following the death of Sydney woman Shalina Abdul Hussien, who was overcome by hydrogen sulphide while in one of the boat’s toilet cubicle. 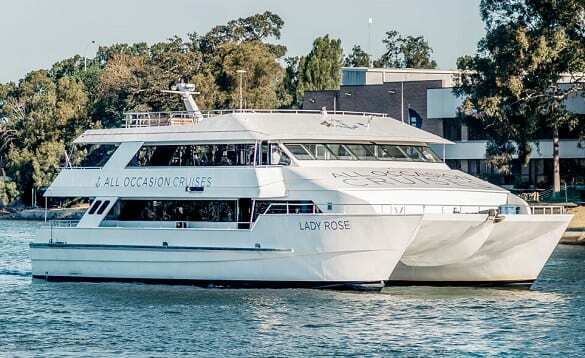 The 39-year-old woman was found dead in a toilet cubicle of the party boat Lady Rose over the weekend, with investigators examining “sewage disposal” on the vessels at Blackwattle Bay Marine. Hussien’s body was found after passengers began complaining of an overpowering smell during a private charter of the boat on Saturday. A report by the Herald stated that “extremely hazardous” levels of hydrogen sulphide were recorded in the toilet where the woman died. The Herald also reported that staff on the Lady Rose have been complaining about bad smells coming from the boat’s toilet cubicles for the past year. Occasions Cruises is owned by Joe Elias and his wife Rosie Elias. The boats host a range of events and parties including hens and bucks nights tied to the owners’ floating strip joint venture Wild Boys Afloat. “Our priority … is to help with the investigators to provide them with all the information they need. We do not believe it is at all appropiorate to speculate. There is an ongoing investigation,” Rosie Elias said in a statement.